Derek Rickwood, BFA, has been establishing himself as Vancouver Island's most accomplished artist in custom oil paintings. Derek completed his diploma in Fine Arts from Malaspina College (Vancouver Island University) in 1986. 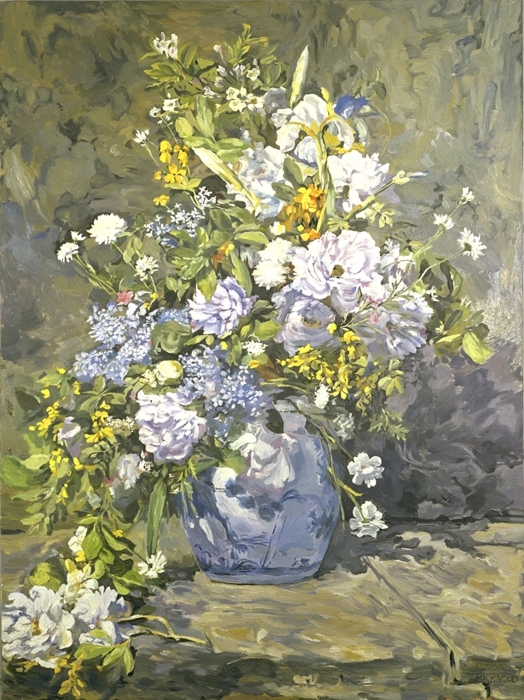 During this time, he only had one year of oil painting experience when he was asked to create his first paid commission of Renoir's - Spring Bouquet (1987). 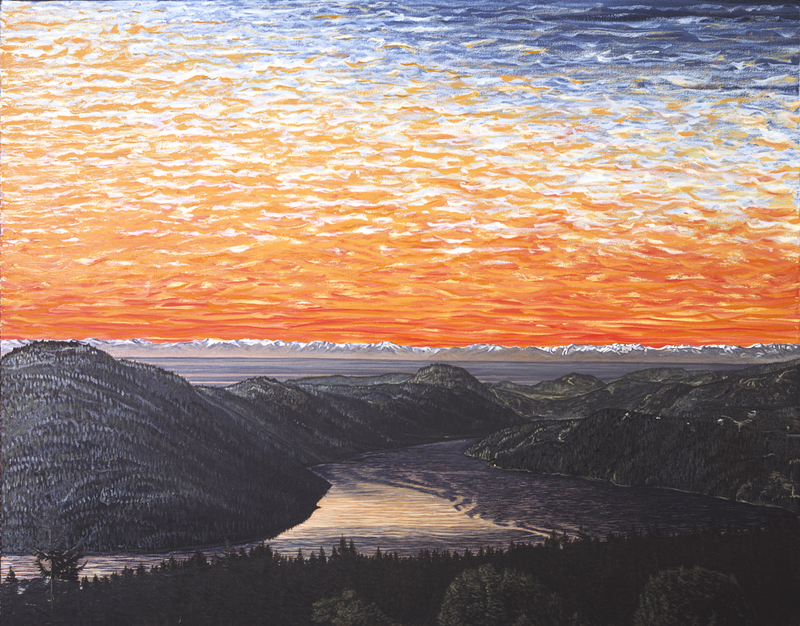 He completed this painting for Sharon and Al Slaughter of Nanoose Bay, B.C. Then, one year later, Derek's first original commission was created for David Strang, a local successful financial investment planner. 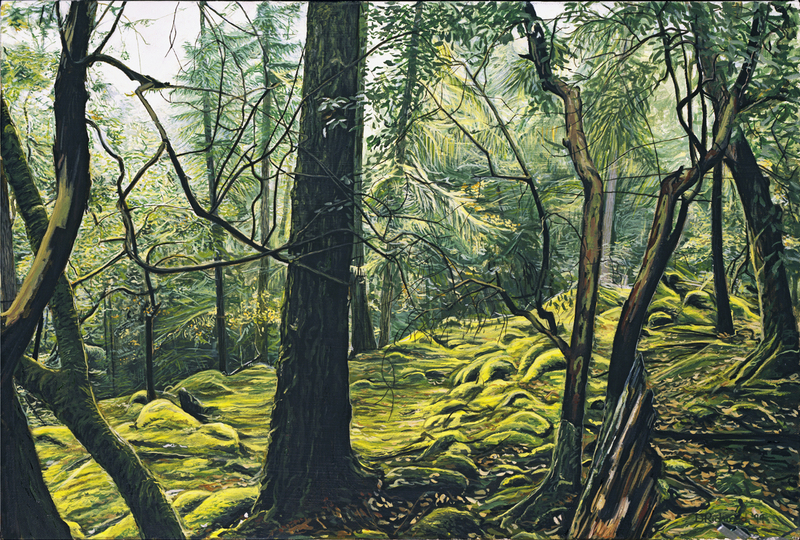 This painting was derived from a photograph of a famous bald eagle nesting spot and was entitled, Eagle Point (1987). In 1990, Derek completed his Bachelor of Fine Arts degree from the University of Victoria. 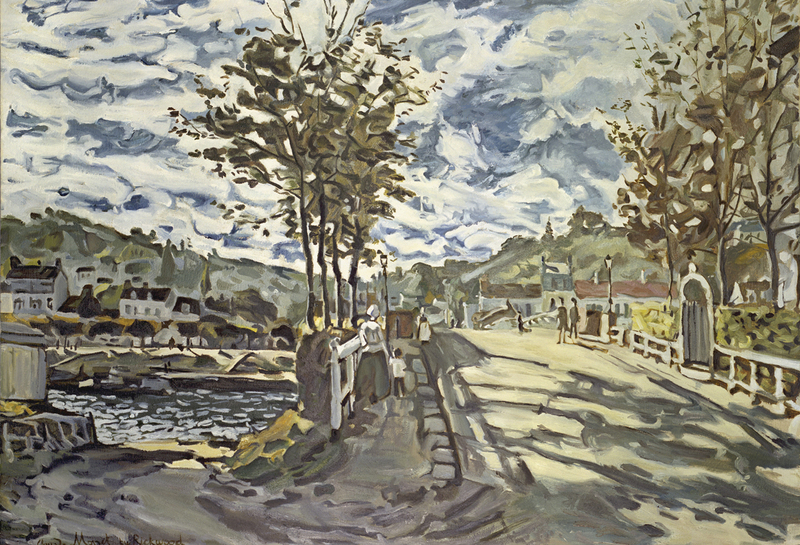 During this time, he painted his third commission, Monet's - Seine at Bougival (1989) for Joe and Eloise Bratkowski of Nanaimo. Derek continued to create more painting commissions. 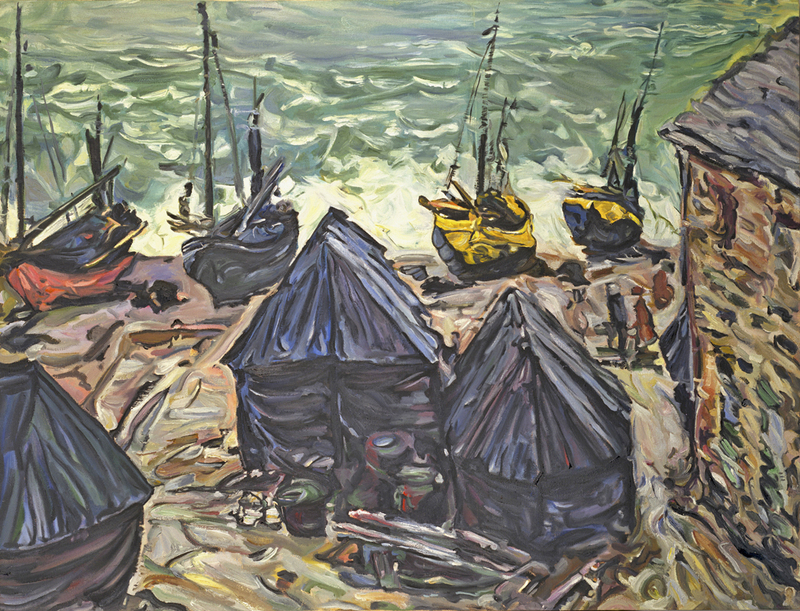 He painted Monet's - Village on the Seine (1992) for Bradley Thompson's home. 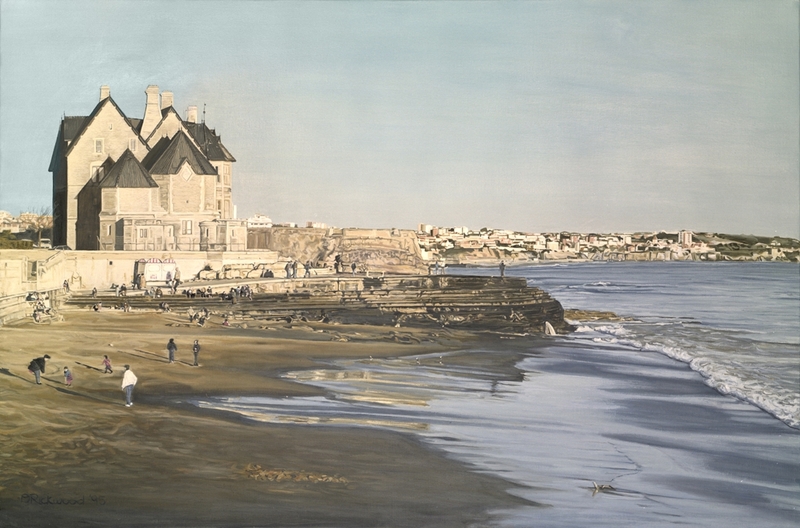 He also produced another oil painting for David Strang's office and it was called, Noon at Cascais (1995). 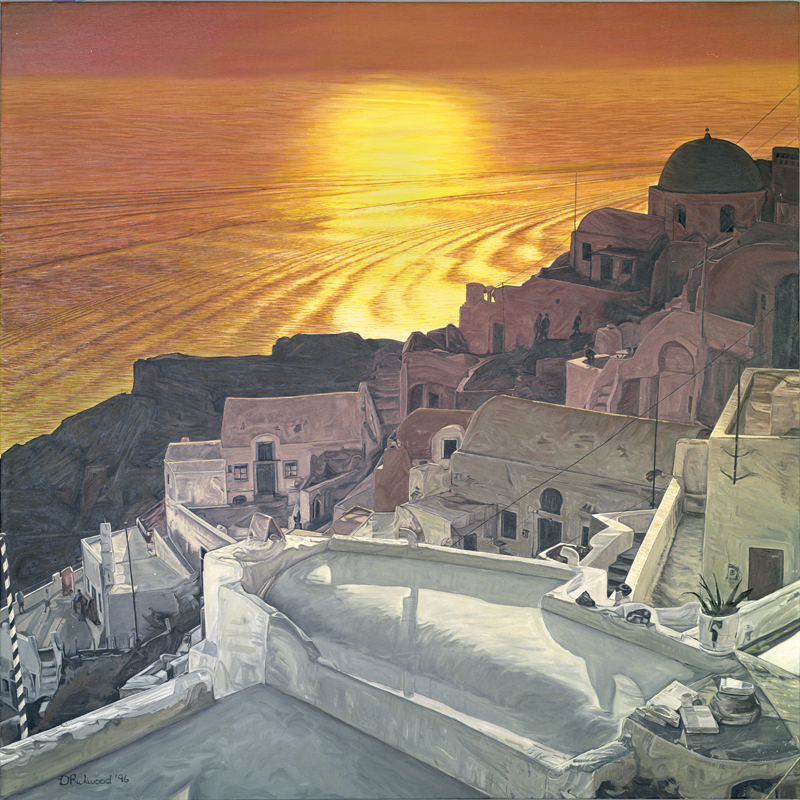 After this work, he created Santorini Sunset (1996) for Scott and Suzanne Currie's home. 1997, was a very productive art commission year for Derek and also a year of firsts. He completed three paintings; one for an accounting firm, one for his first resort and his first mural for an Italian society’s lodge. 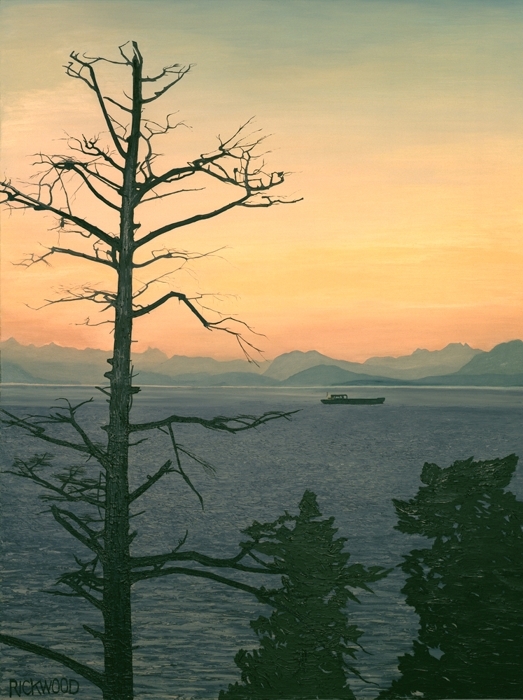 In 1997, Derek took a photograph of Nanaimo's Long Lake and created, Sunrise at Long Lake (1997) for Douglas A. Johnston, a successful certified accountant in Nanaimo, B.C. This was the first painting Derek created from his own photographs. That same year, he was commissioned by John Melideo, the President of the Cavallotti Society, to paint a mural on the stage wall. 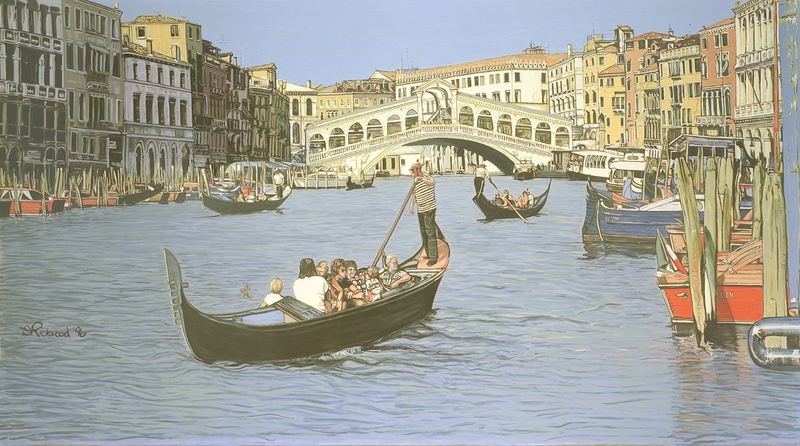 The result was a beautifully painted image of Venice’s world-renowned landmark entitled, Rialto Bridge (1997). It was unveiled during a Columbus celebration for a capacity crowd including local dignitaries, visiting Italian opera singers and the Italian Consulate General and his wife. Derek dedicated the painting to his father, Randy Rickwood and to the Italian community. The last painting that Derek created in 1997 was commissioned by the owners of the world-famous Aerie Resort and Spa. The owners, Leo and Maria Schuster, wanted a painting for the newly expanded spa. They wanted to capture the resort’s spectacular sunrise. So with a camera in hand, Derek got up early in the morning and photographed a sunrise view off the resort’s restaurant balcony. The painting was unveiled during a special chocolate presentation and dinner function the resort sponsored that featured world-renowned chocolatier – Bernard Callebaut and his business colleagues. 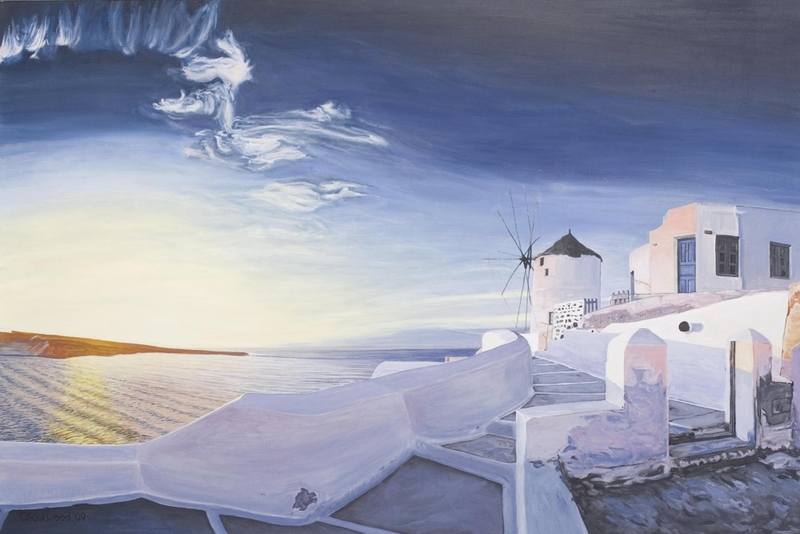 The painting was able to successfully capture the incredible and dynamic sunrise and appropriately entitled, View from the Aerie (1997). While starting up his own menswear business with his wife, Lisa, Derek took on another painting commission for David Kirk entitled, Mystic Forest (1999). This painting was unveiled as a gift for David’s wife, Pam to celebrate their 15th anniversary. 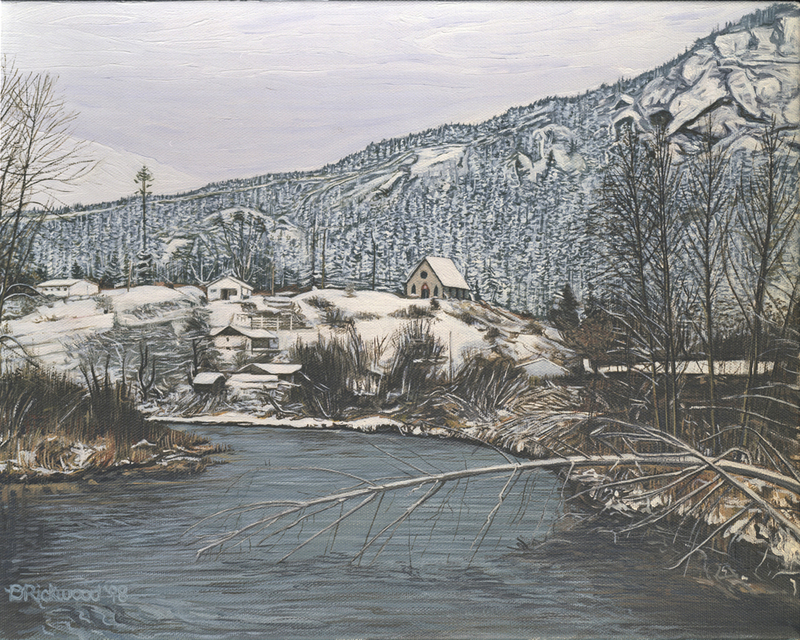 From 1999 – 2008 Derek took a hiatus from painting except a small painting he created in 2001, entitled Butter Church donated to the Festival of Trees Gala to support the Malaspina/University Foundation (Now the University of Vancouver Island). During this time, he was very busy running a quality menswear store. This explains his absence of paintings during those years. In 2009, Derek began painting again. He completed - Santorini Windmill (2009) as a gift for his dear friend, Cory Parson. He next commission for Zoe Dams was completed and unveiled in August, 2009, and entitled – Newcastle & Protection Islands Sunrise as a family gift for her husband, Curt, for his retirement from teaching. Since finishing his last commission in 2009 he’s been busy on two business fronts. When he’s not painting Derek’s very busy a professional clothier serving his clients throughout Vancouver Island. His passion for men’s fashion began when he was thirteen and began his clothing career when he was nineteen in 1977. With demands of his clothing profession he has managed to complete two special commissions. 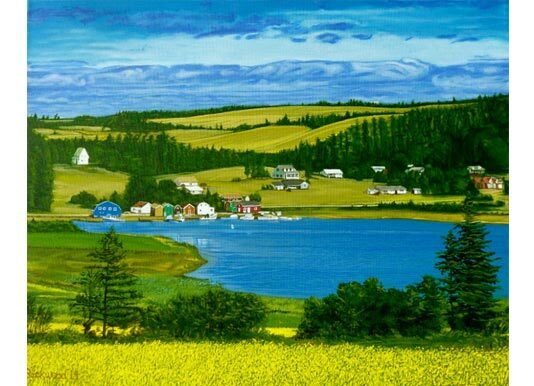 One for long time friend, art & clothing client, Doug Johnston entitled, Johnston View completed February 2013. Based on the picture Derek had taken from the balcony of Doug’s home looking out over his property depicting a spectacular west coast view. In the painting’s foreground are his pool’s angelic ornaments that are special to Doug because they remind him of the time he has spent with his grandchildren. The painting was meant for his home but are for now is displayed proudly in his accounting firm’s main lobby wall. The next commission is very special to Derek. Up to now he has never created a painting for any of his family. That has changed because he recently created a landscape for his dear sister Kellee this past March 2014, entitled, Hostetter’s View. Kellee took the photo of a well known picturesque seaside in PEI while visiting Derek’s other sister Jillian last summer. Derek had promised Kellee a painting for a number of years – now he has! He would love to eventually create painting for his mom, three other sisters and brother. Derek focused on creating landscape paintings for the golf industry and interior designers. In 2014, he has successfully landed a major commission for the Nanaimo Golf Course’s new clubhouse – a local prestigious golf course. It should help launch his career in this niche market. His realistic style is perfect for this industry. He unveiled Nanaimo Golf Course Clubhouse View in August 2014 during a member’s in-house championship awards dinner. As a professional artist he was formally educated to be an avant-garde artist. Up to now he has never exhibited his own work. The subject matter throughout his school years was about his relationships with his son, his girlfriend and then with his fiancée who has been his wife now for nearly 23 years. Derek has since completed a number of other commissions to date. His commissions were created in a realistic style with the subject matter being what he considers a sentimental or popular style. These commissions for the most part have a limited audience. He has enjoyed creating them, however has always longed to have his art positively impact as many people as possible and to change the art world. As a professional artist, he was formally educated to be an avant-garde artist. Up to now he has never exhibited his own fine artwork. 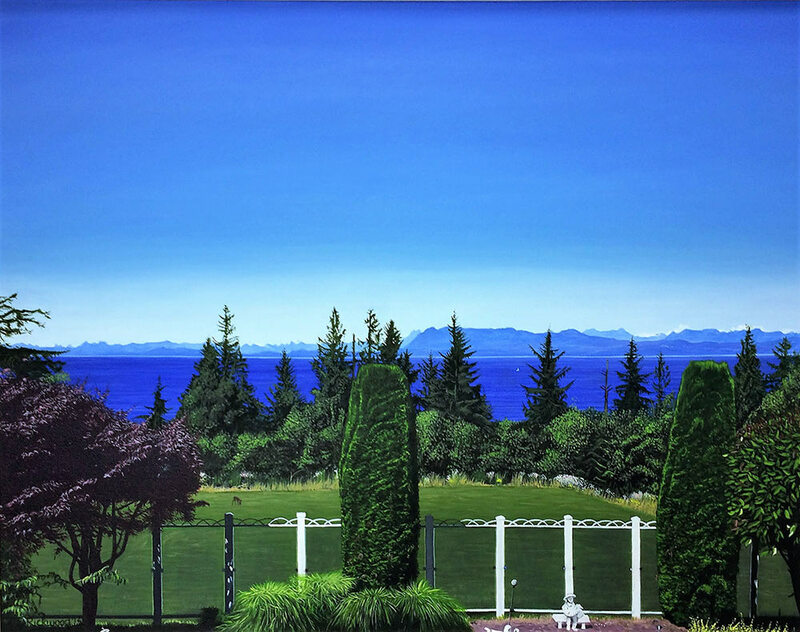 The subject matter throughout his school years was about his relationships with his son, his girlfriend Lisa, an accomplished artist herself with whom he met while they both attended UVIC while getting their fine art degrees and have since been happily married for 25 years. After graduating with his BFA in 1990 he has studying human behavior, specifically relationships between men & women in preparation for a body of art work for his first fine art show. He has been working on this work for over nine years he’s been working on an exciting and revolutionary body of artwork that will be educational. This work is based on U.S. psychiatrist and relationship specialist, Dr. Paul, and his ‘nine step program for a successful relationship from his book entitled, The Secret Psychology of How We Fall In Love.’ Derek is excited to announce that he will be finally ready to have his first fine art exhibit in the spring of 2018 in Manhattan, New York! He will keep you posted with news about his unique avante-garde art exhibition.